They were first photographed publicly together on September 16th. The relationship for the couple was not always plain sailing and they had several falling outs with the couple temporarily splitting in late 2005, while Kiedis reportedly dated model Jessica Stam, only for him to reunite with Christie early in 2006. The following year Heather became pregnant with the couple’s child. Their son was born on October 2nd, 2007 and named Everly Bear. Unfortunately, the couple split again in June 2008 when Everly Bear was a few months old. This time it was permanent. 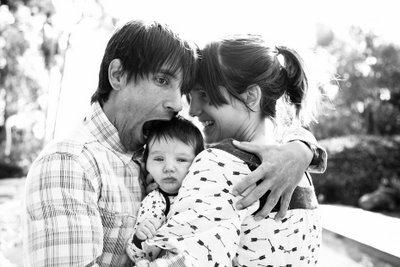 They now share custody of their son although Anthony has always been the primary carer; Everly Bear lives with him and attends a school in the LA area. Heather recently married and relocated shortly afterwards to the other side of the country. Update: April 2018. Details of a court case over custody arrangements were leaked to the press. The court case found in Heather’s favour over a contested visit, but contrary to some news reports, Anthony is still the main carer for their son and Everly Bear still lives with him in Malibu. I always expected that Anthony would be an exceptional father. You have always been beautiful. Your Bear Clan is beautiful. This is the most beautiful story of a child I have ever heard, Heather had come up a brilliant mamma and Anthony is a wonderful father. The bear bit on the end of Everly is a beautiful touch to such a wonderful name. Everything is perfect about this story. And I am glad they still remain good friends – Anthony and Heather. But I still wanna marry Anthony, so yeah. I’m pretty sure that Anthony is a great father, because of his experience about family as far as konw wasn’t the best one and I’m sure he might have suffered because of that, so I guess he knows what a father should be. ANTHONY,i know u had quite a wild childhood,I know u will take care of Everly Bear and protect him ,as we all know its a crazy world and u r most likely the most remarkable father,U know me as Monique,but my real name is Susan Ferretti,we met @ yr. Fathers parties,u gave me like 8 pics. of yrself u were 14 ,I was 18,everyone took them when,they found out but i still have 2of u.I know were suppose 2 b in eacothers lives somehow,somewhere.